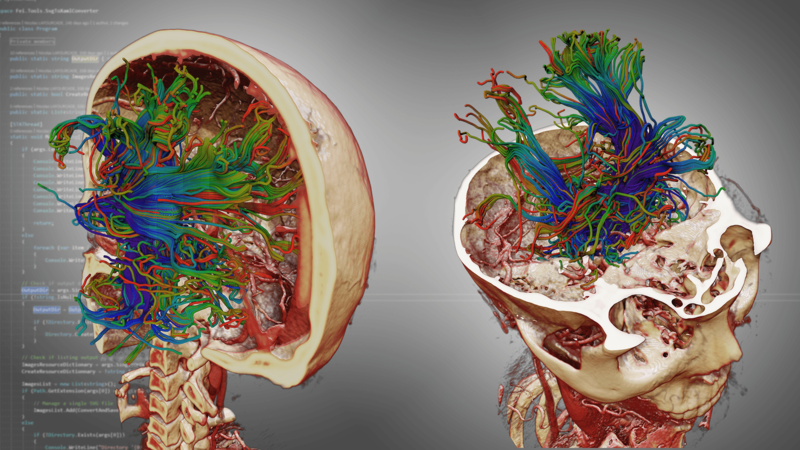 At RSNA 2018, the Open Inventor Toolkit team will preview a new feature for visualizing Diffusion Tensor Imaging (DTI) fiber tracts. Available in 2019, the GPU-based feature provides high performance even for a very large number of fibers. Lighting, physically-based shading and ambient occlusion allow the spatial relationships of the fibers to be seen clearly even for a very large number of fibers.